I've been wanting to do that since the Street Rod came out. I just never got around to it. I may do that if the peg extensions I got from J&P Cycle don't move my feet too far from the pipe. Where were you able to purchase it from? 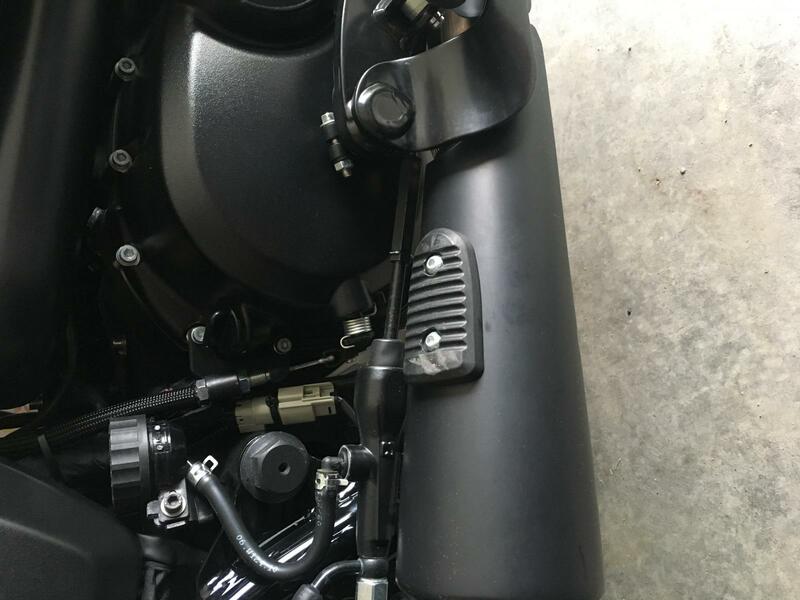 From the Harley dealer, it was only $12 and $1 per screw. You really don’t need them they are just 1/4-20 with some lock tite on them. 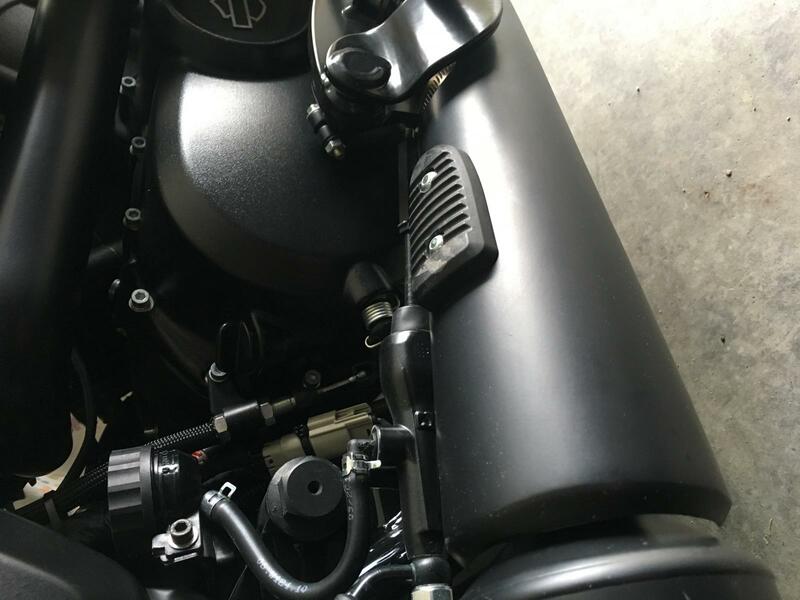 I just drilled and taped the exhaust shield but there is enough room between the pipe and heat shield for a lock washer and nut.